If given a choice on what movie to watch, would you choose a hotly-anticipated blockbuster or a plot-driven period piece? In cinema, you’re hard-pressed to get both in one sitting. But in game design, where imagination and innovation have steadily ascended, you can truly deliver a user experience unlike any other, provided you have the tools to match your creative vision. The Chinese Room, an independent video game studio in Portsmouth, U.K., is an industry stalwart in game development. The studio, which specializes in experimental first-person narratives, is garnering accolades that surpass larger studios while producing a collection of critically-acclaimed gaming titles, including Dear Esther, Amnesia: A Machine for Pigs, and Everybody’s Gone to the Rapture. Each game is immensely detailed and, through evocative storytelling, offers gamers fully-realized worlds where mysteries can be confronted and resolved. What The Chinese Room has achieved (11 BAFTA award nominations, including 2016’s BAFTA Winner for Best Game) is a testament to their studio’s ability to implement game development best practices to foster greater creativity in their development projects. Navigating the ever-changing landscape of game design, The Chinese Room relies on Perforce's version control tool, called Helix Core, to accommodate their workflows long-term, help streamline their asset management, and serve as a development platform that lets them focus on what they feel makes them great: their creative focus. Below are a few ways The Chinese Room uses Helix Core to unfurl their creative visions onto the gaming screen. To the modern gamer, many retro arcade games seem antiquated. The exponential growth of gaming technology has accelerated the conceptual reach and aesthetic baseline for gaming titles. Sure, it’ll always help having a riveting game narrative featuring complex characters, but that alone won’t captivate broad audiences. Game studios have to keep one eye permanently fixed on the future. With near-term game features like face and voice recognition, augmented reality, and gesture control already being woven into game dev, it’s imperative to have the right tools to help evolve with the industry. “You might design something that is dependent on a feature that suddenly is no longer there,” says The Chinese Room’s Lead Programmer, Stuart Yarham. Most studios, especially smaller shops, don’t have the resources to operate and manage home-grown versioning tools. And, besides, no other platform manages binary data (a staple in media design) better than Helix Core. “You may worry your version management’s product roadmap won’t support your design features,” says Yarham. “We’ve never had that problem with Perforce. That’s because Helix Core continually aligns with the ongoing needs of game studios, as they manage complex projects of large and variable files across distributed teams. It’s fair to say, on balance, it’s easier to make video games today than ever before, as specialized tools and technologies have become ubiquitous throughout the industry. However, for smaller studios with less bandwidth to focus on tooling management, the barrier of entry is still a hurdle to overcome. Like many start-up studios, with lofty ambitions and limited initial resources, managing assets through their development pipeline is often an ad hoc, “make-it-happen” approach. This can severely limit the progress of a gaming title, with smaller teams focused mostly on the end product, lacking the management overhead to optimize their day-to-day workflows. With contributors working remotely and adding data 24/7, it can be hard to keep distributed teams on track and effectively managed without a tool to coordinate your efforts. Perforce streamlines development collaboration and protects projects with industry-leading versioning of gaming assets. That’s just one reason Perforce is the undisputed market leader in game versioning, as it handles large and variable files, ready to scale exponentially, better than anyone else. Decision-makers at The Chinese Room understand the need to improve development agility and greater efficiency; it’s a consideration that every studio grapples with to become more successful. But The Chinese Room isn’t interested in distracting from their main goal of creating unique gaming experiences for their audience, even if they could. Helix Core allows The Chinese Room to get development out the door quickly, so as not to stall their momentum. By being proactive in development, their team is able to paint on a canvas that doesn’t need to be wiped clean but can track history of each and every brush stroke. Helix Core allows The Chinese Room to play fast and loose with the creative aspects of their build, all while ensuring a stable record of all changes that can be versioned back at a moment’s notice. 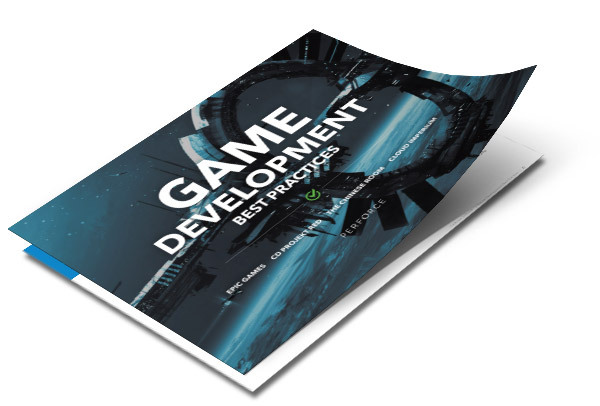 To learn more about how other game studios, including Epic Games, CD PROJEKT RED, and Cloud Imperium, are leveraging Helix Core in their best practices, get the Game Development Best Practices eBook and get helpful insights on how to get more out of your development workflow.